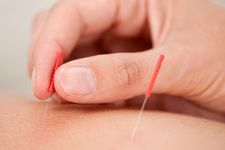 Telemasajes provides outcall services of Massage therapy, Physical therapy, acupuncture and Pilates in Madrid, Spain. Just tell us where, when, how long and we will be there as soon as possible. We bring the best massage therapists straight to your door. An incredible massage experience in the comfort of your own home is just a phone call away. We believe that Massage therapy helps you relax, re-align and rejuvenate. There are many positive aspects to receiving massage therapy on an ongoing basis, and with the busy lives we lead, we can all benefit from a little stress-management. If you are looking for the best massage in Madrid give us a call!. Some stress is natural, but often times stress becomes a problem when it leaves you feeling overwhelmed and out of control. Seventy seven percent of General population report experiencing physical symptoms of stress. The answer may lie in a massage that have been scientifically proven to aid people in reducing their feelings of stress and the resulting health issues. Telemasajes offers you the best professionals to treat you in a relaxing environment. We can help people of all ages from maternity to elderly with quality of life. We specialize in pain management. Some of us have been in the industry over 10 years. We work on people from all walks of life and have experience working with doctors and numerous variances of therapies. We specialize in: Sports Injuries, pinched nerves, sciatica, pain radiating down legs or arms, Back/neck/shoulder/joint pain, anxiety, pain management, Deep tissue massage, acupressure or just a relaxing massage. Check our massage services. If you think massage it's not enough for you we offer also Physical therapy, Acupuncture and Pilates services at incredible rates. Check out our promotions. If you have any questions please contact us through our form of contact, our email or call us to our phone. We will be happy to help you. If you are looking for the best massage in Madrid give us a call!.